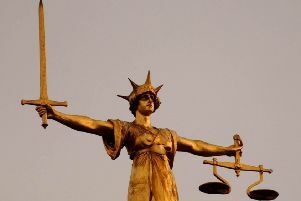 An HGV driver who smuggled 21 Vietnamese nationals – a large number of them children – into the country inside a refrigerated lorry has today (Tuesday, March 26) been sentenced to six years in prison for assisting unlawful entry into the UK. Andrut Duma, 29, transported the group, the youngest of whom was aged 12, inside a shipment of sparkling water he was bringing over from Dieppe, France, said the Crown Prosecution Service. They were found when his vehicle was stopped at Newhaven, on November 1 last year. When customs officials searched the trailer, they found 10 people lying tightly packed into one wooden pallet and 11 hidden in another, said the CPS. The hides, made from poor quality wood and overloaded with crates of water, were highly dangerous and at potential risk of collapse with no means of escape in an emergency or accident, said the CPS. One of the Vietnamese nationals said they had been travelling in the trailer for seven hours, the court heard. On arrest, Romanian national Duma claimed he had been paid £1,000 to smuggle beer and was not aware he was transporting people. But he pleaded guilty at Guildford Crown Court after the CPS proved he had been employed by a professional people-trafficking operation, said a CPS spokesperson. Helen Ellwood, of the CPS, said, “Motivated by greed, Andrut Duma showed a callous disregard for the safety of 21 people he was illegally trying to smuggle into the country. “There is no doubt the traffickers will have charged the group significant sums of money to reach the UK, only to put vulnerable children and young adults at risk of death by packing them tightly into overloaded and shoddily constructed wooden pallets. The prosecution case centred around proving the scale of the operation Duma was involved in and the lengths the traffickers behind it had gone to in order to avoid detection. The CPS said evidence was gathered proving the number plates of the vehicle Duma was driving were false and had been fictitiously registered by a company in East London. Duma was also found to be travelling on a false CMR goods transportation document, which had used the address of a company involved in the importation of water from Romania without its knowledge.